It’s been a busy week here at the Continental Club, so we thought we’d celebrate with a little giveaway. 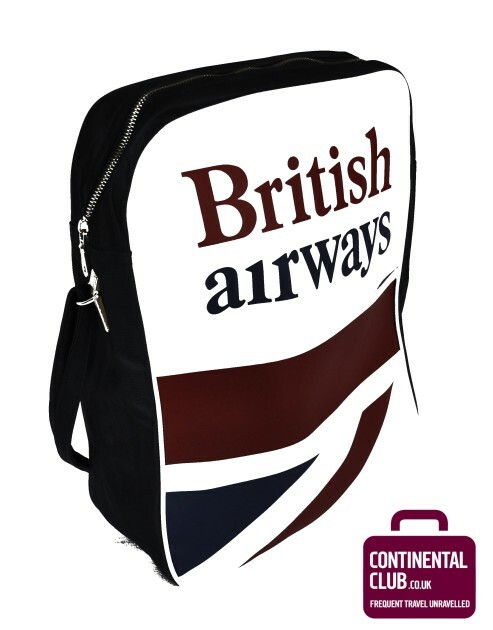 We’ve got a cool, retro British Airways cabin bag for one lucky CC fan to win, with almost no effort involved at all! Entry is simple – all you need to do is ‘like’ us on Facebook and ‘share’ our British Airways Business & First Class Sale post. Or, you can ‘follow’ us on @conti_club_uk on Twitter and ‘RT’ our British Airways Sale tweet there. Better still, you can double your chances of winning by liking & sharing, following & RTing us in both places! The competition closes at 23:59GMT on Tuesday 12th March 2013, and it’s open to residents of the UK and Ireland who are over the age of 18. We’ll draw the lucky name (or, more accurately, we’ll ask a glamorous independent assistant to draw the name) on Wednesday 13th March at 12:00GMT and we’ll be in touch with the winner via either Facebook or Twitter later that day. If the prize isn’t claimed within 48 hours, we’ll draw again. Remember that if you’re entering on Facebook, you’ll need to ‘like’ our page, and ‘share’ the BA Sale post – a ‘like’ of the post and not the page won’t qualify. And we promise that we’ll only contact you as a result of liking/sharing/following/RTing if you’re a winner. Good luck!